While the city beguiles and enchants, there are some amazing must-do destinations to explore within easy reach of Charleston. Here are the coolest day trips within a two-and-a-half hour drive of the Holy City (plus a few overnighters if you wanted to extend your visit). Just an hour’s ride away from Charleston, a visit to Hopsewee Plantation immediately transports you back in time to South Carolina’s historic 18th century era. 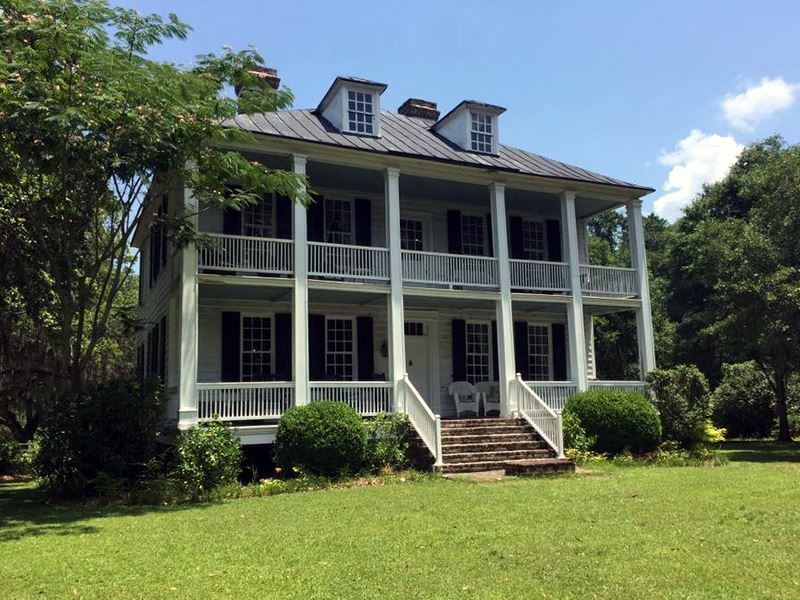 Set in grounds on the banks of the Santee river, the historic plantation house is renowned as the birthplace of Thomas lynch Jr., one of the signatories to the U.S. Declaration of Independence. Set with period furniture and still a private residence, Hopsewee Plantation tours offer a fascinating insight into the workings of a colonial rice plantation. The tours also showcase the importance and knowledge of the employed slave workers along with the remaining slave quarters, very few of which remain in South Carolina. The property also operates a charming tearoom offering a Southern take on the traditional British high tea. For an ideal day trip away from bustling Charleston, Georgetown is just an hour’s drive away, located on the iconic historic coastal highway route 17. The city is the third oldest city in South Carolina, boasting a charming waterfront and streets lined with live oaks. Full of fascinating history and quaint charm, the downtown is defined by the picturesque Harborwalk marina, packed with restaurants and bars and boutiques. Dotted among the retail therapy is an array of fascinating museums recounting the areas varied history and culture, including the Rice and Gullah museums. A little further north from Georgetown, around an hour and forty-five minutes from Charleston lies Brookgreen Gardens. 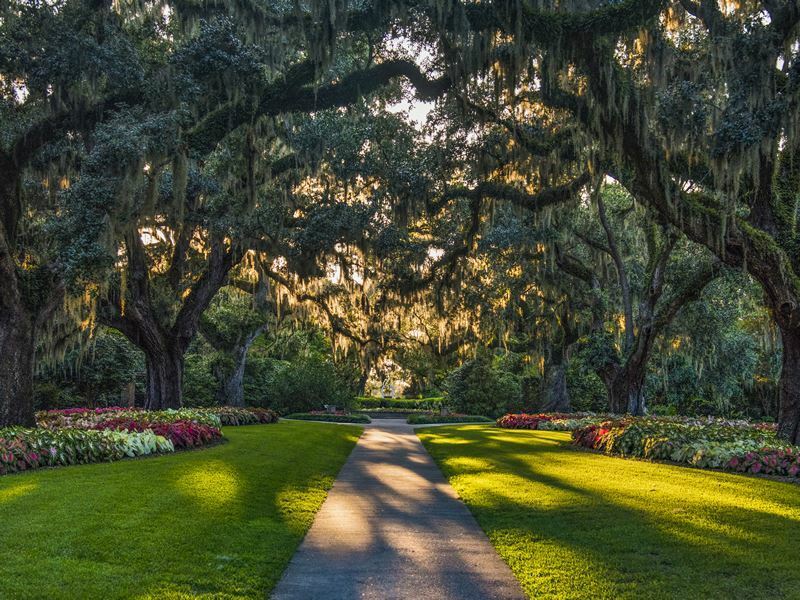 Brookgreen is a stunning botanical and sculpture garden that also boasts a wildlife sanctuary and creek excursions. This National Historic Landmark is set on over 300 acres and feature more than 2,000 species of native plants, stunning bricked terraces and beautiful fountains. There is also a multitude of seasonal events that beautifully showcase the garden’s backdrop and artistic creations. 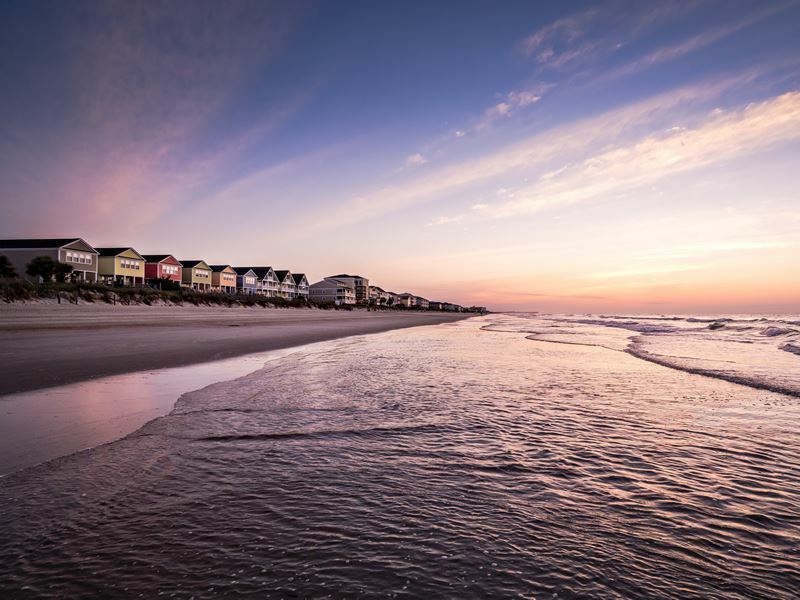 For a livelier beach experience head north, just over two hours from Charleston, to the vacation city of Myrtle Beach. Myrtle Beach lies at the center of the Grand Strand, a 60-miles stretch of beautiful white sandy beaches. All along its lively beachfront boardwalk are arcades, souvenir stands and restaurants, and of course its iconic centerpiece the SkyWheel®, one of the country’s tallest Ferris wheels. Myrtle Beach is also known for its array of celebrity-designed golf courses and resorts, providing a near endless golfing experience. To truly experience all that Myrtle Beach has to offer consider a stop-over at one of the many fine hotels or resorts on offer. Looking for something truly unique? 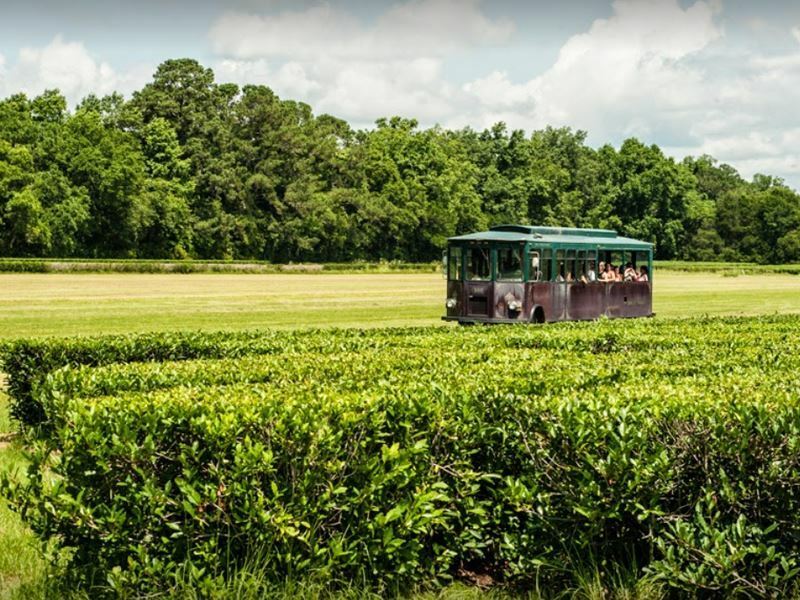 Located on picturesque Wadmalaw Island in the heart of South Carolina’s low-country, just a half-hour’s drive south of the historic city, sits America’s only working Tea Plantation - The Charleston Tea Plantation. Experience the endless array of tea bushes stretching out acre after acre for almost as far as the eye can see and take a fascinating educational tour of the tea factory itself. Here you can explore the entire length of the production line where you can see first-hand all the equipment it takes to make tea. There is no admission fee with just a small charge for the fascinating 45 minute trolley ride, should you wish to take it, which includes a stop at the state of the art greenhouse. 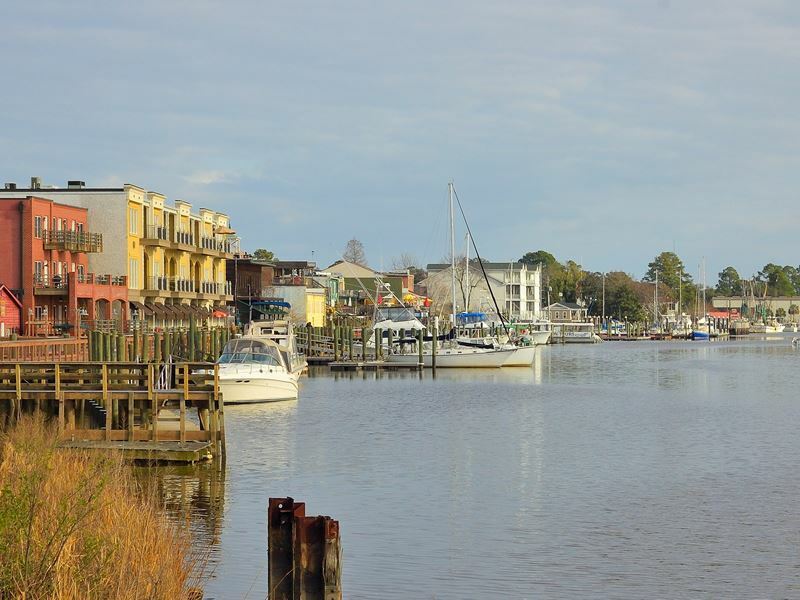 Another jewel not to be missed is Beaufort SC, a quaint coastal city set on Port Royal Island, just an hour and twenty minute’s drive from Charleston. Yet another of South Carolina’s evocative sea islands Beaufort beautifully showcases the heritage and natural beauty of the coastal Lowcountry. The city is renowned for its array of fine antebellum homes, especially those located in the downtown historic district. 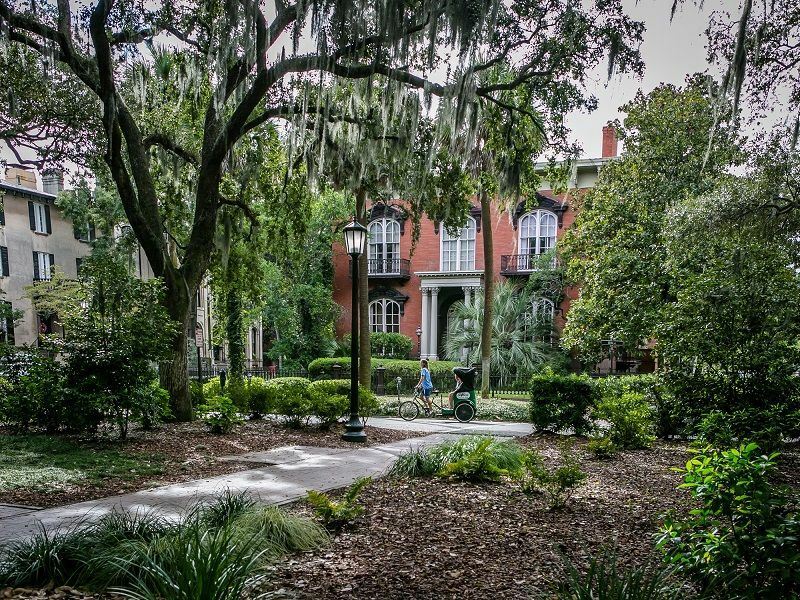 This area is made up of narrow interlocking streets, adorned by natural foliage and centuries-old, moss-draped live oak trees. Fascinating tours of the city, illustrate its history, heritage and especially the fine architecture, taken either on foot, by horse-drawn carriage, or touring van. You will also find handsome Civil War era homes if you venture into the eastern portion of the town, some with truly spectacular water views. 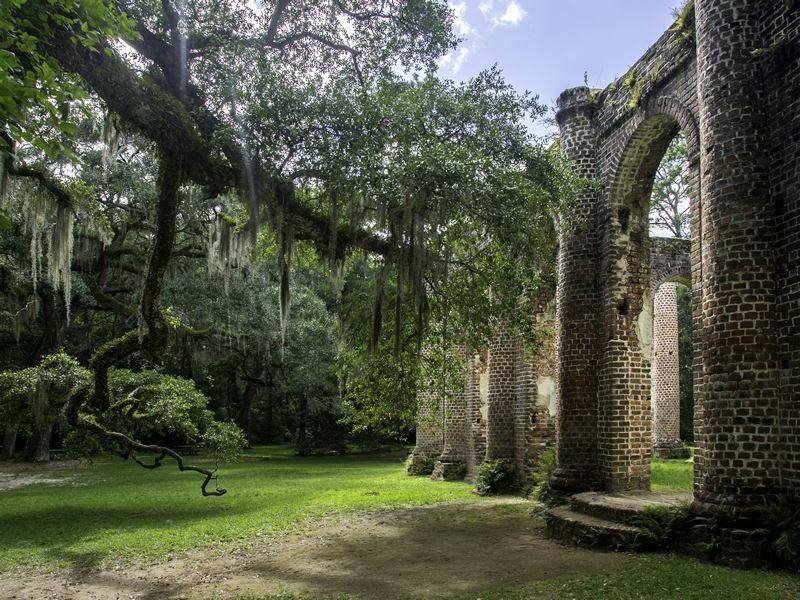 The beautifully rustic island of St. Helena is a must see on your trip to coastal South Carolina. Located 90 minutes from Charleston, St Helena is renowned for its relaxed Lowcountry character and being focal point for the areas African-American Gullah culture and language. One of the main draws for the island is Penn Center, founded in 1862 as Penn School one of the first schools in the South for formerly enslaved West Africans. Set amid acres of moss draped live oaks, the center was designated a national monument by President Obama. Docent led tours highlight the museum’s historic artifacts along with documents relating Gullah culture and island life. Looking for some resort island relaxation? 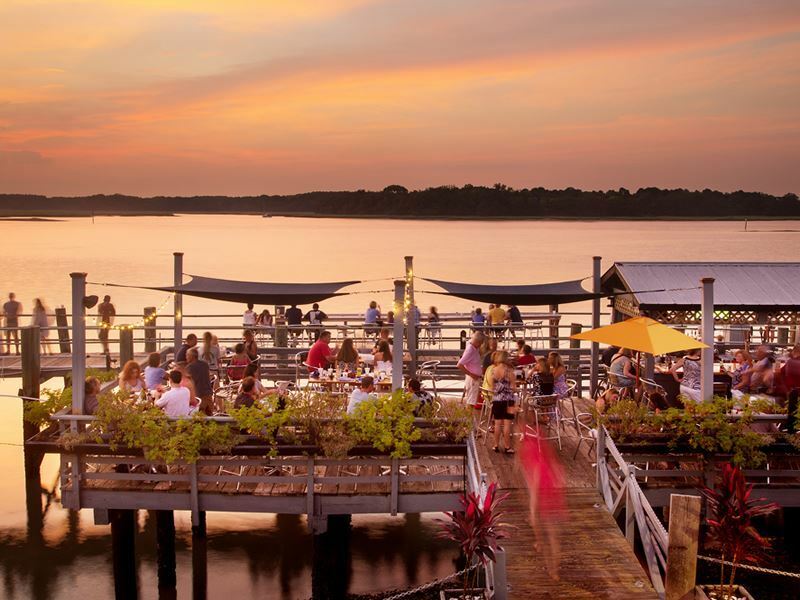 Two hour’s drive south from Charleston, along the scenic coastal highway 17, lies Hilton Head Island, long known as a haven for beach and golf lovers alike. Set on 12 miles of pristine white-sand beaches, with 24 world class golf courses, Hilton Head also boasts over 250 amazing restaurants. The island’s tidal beaches provide miles of packed sand, ideal for leisurely bikes rides - with a total of over 50 miles of cycling available through the addition of superb paved multi use trails. Head for Harbour Town with its iconic lighthouse and array of yachts to take an exciting dolphin watching tour. 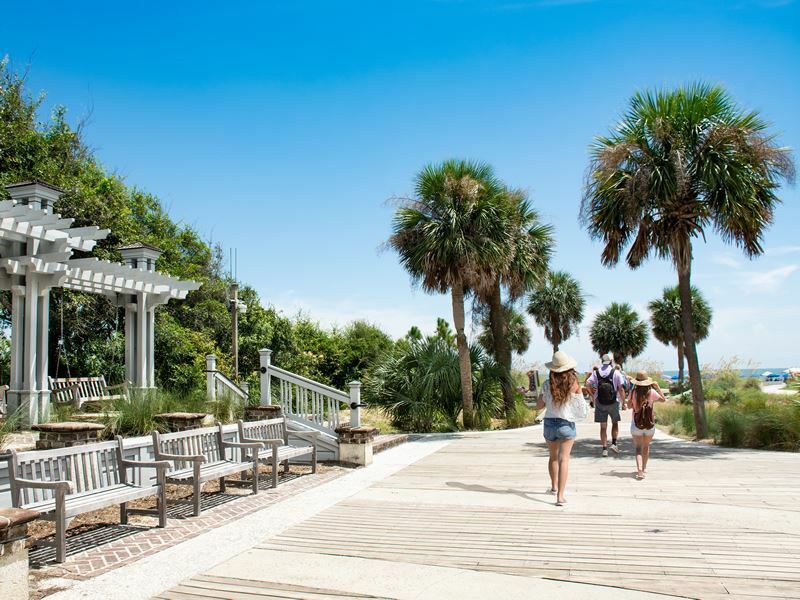 Awash with stunning oceanfront resorts, you might want to consider a Hilton Head stop-over to extend your stay on this resort playground. Want to experience more southern elegance and charm? The beautiful city of Savannah, Georgia is around a two hour’s drive south from Charleston just over the state line. Set on 22 stunning squares, mini parks really, Savannah is often referred to as a sister city to her northern neighbour. Stroll the squares or take a relaxing carriage ride to experience the array of history and unique culture this coastal jewel has on offer. There is so much to do and see in Savannah, you may want to consider a stop-over to take it all in.